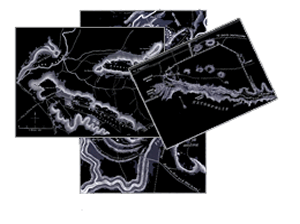 Etruria is an area to respect and preserve. All western civilizations were born here. The Etruscans’ decision to settle in this area comes from their full knowledge of the wild and immense energy stemming from every stone, spring, every grass leaf that covers this land. Through expertise in the tourism industry, technology and communication we intend to implement a portal that enhances Etruria Ancient Region by spreading the culture and history of this land, rich and varied, where you can find not only the ideal place for your holidays but a place to discover and study. History, Culture, Handicrafts, Gastronomy, Art, Mysteries, these will be the key words of our journey to discover Etruria. Etruscan Corner is dedicated to the excellencies of Etruria, an area which is still partly unknown by the mass tourism but rich in history, traditions and culture. This portal does not want to be another virtual place where to primarily promote business or accommodation. We feel it is of primary importance to promote our territory as a whole. 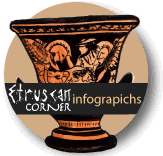 Explore the Etuscan Lucumonie, the ancient City States with Etruscan Corner Interactive Map.